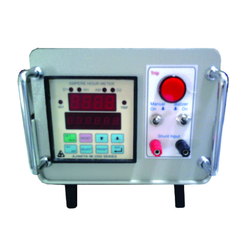 The Ampere Hour Meter with Totaliser & Doser Control model integrates wholesome electroplating control which is convenient for the users. Two relay outputs which are used for controlling the addition of chemicals including additives and brighteners. During the entire process, more charge is taken from the bath which results in a decrease of net concentration. Count of totalizer tells about the charge which is being drawn from the bath. After assessing the count, the ampere-hour could be managed in sync with which chemicals can be added. 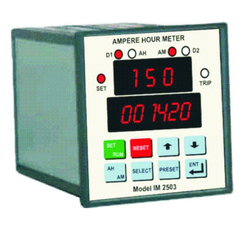 Ampere Hour Meter Module - Model TE 2504 is basically managed for ready setup or the user can be seen in where the current requirements are low. This one is used which is ready to be applied in the stand-alone panel and advanced form all the former models, IM2501, IM2502, and IM2503. These basically panel mount instruments which are required to rectify in the rectifier or in an independent panel. 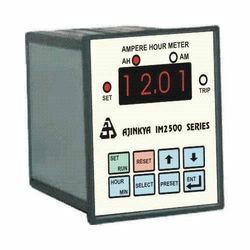 Our range of 4 Digit Ampere Hour Meter is integrated with a set point to control the rectifier. Meter operates a relay when some amount of charge is made to pass. This relay is basically used to shut off from the rectifier and are used in the completion of the job. IM2501, we offer is one of the well known common models and designed for the measurement of charge which is basically for electroplating bath. The external shunt is responsible for direct input and also calculates the charge via circuit frequently. 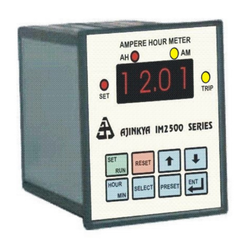 Looking for Ampere Hour Meter ?